Full-grain leather meets cooling mesh. Call it a new twist on an old classic! 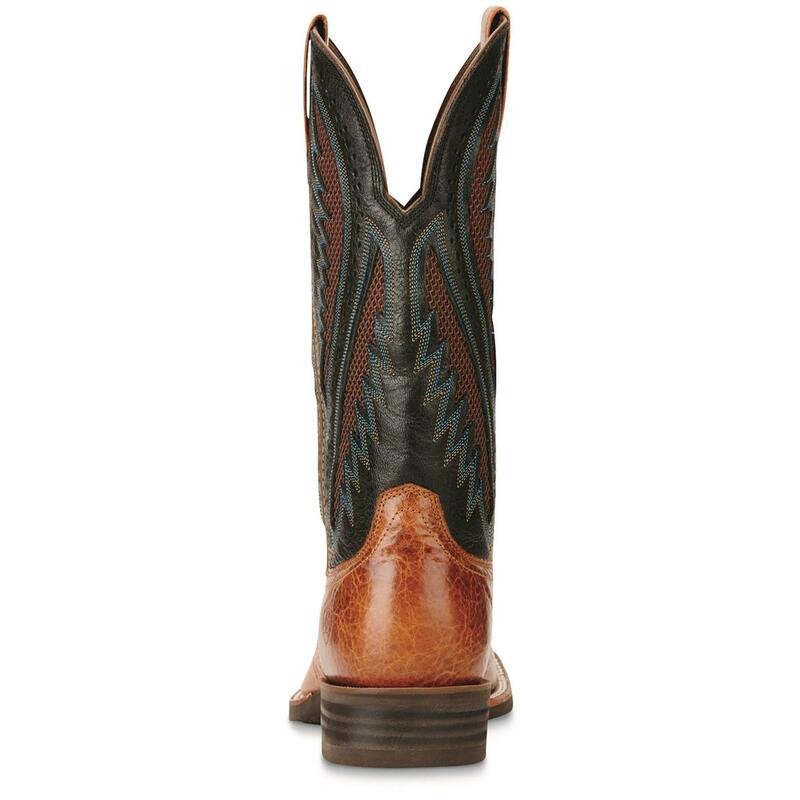 Ariat® took the classic Western Boot and made it "cool," adding strategically-placed mesh vents to the full-grain leather shaft. 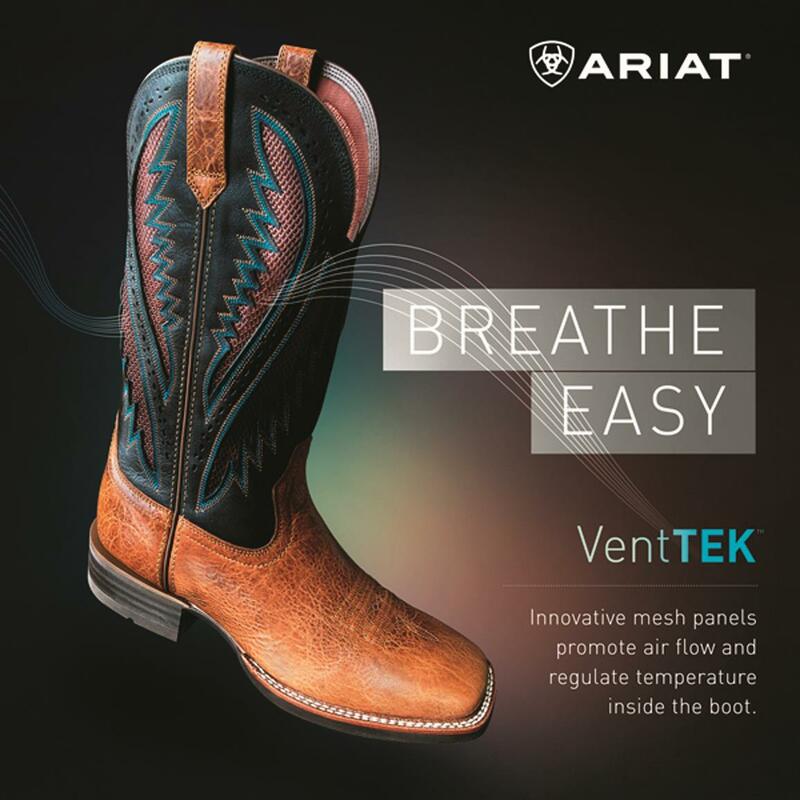 The result is the Quickdraw VentTek, a Cowboy Boot that really breathes, keeping the air circulating and keeping you more comfortable. 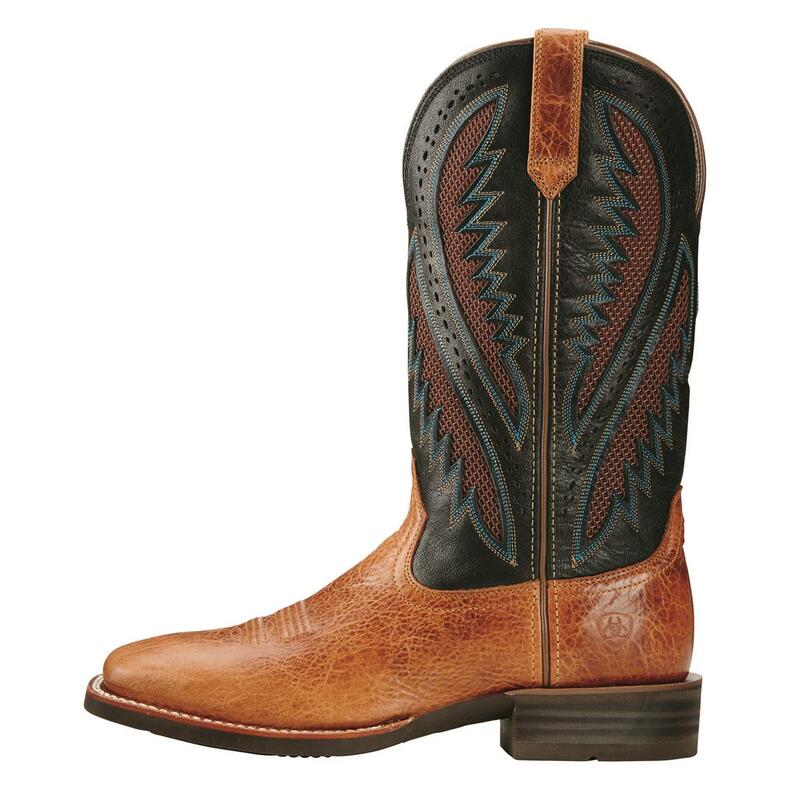 For hard work, for warm-weather wear, it doesn't get any cooler than the Quickdraw VentTek. But cool comfort isn't all these have to offer. 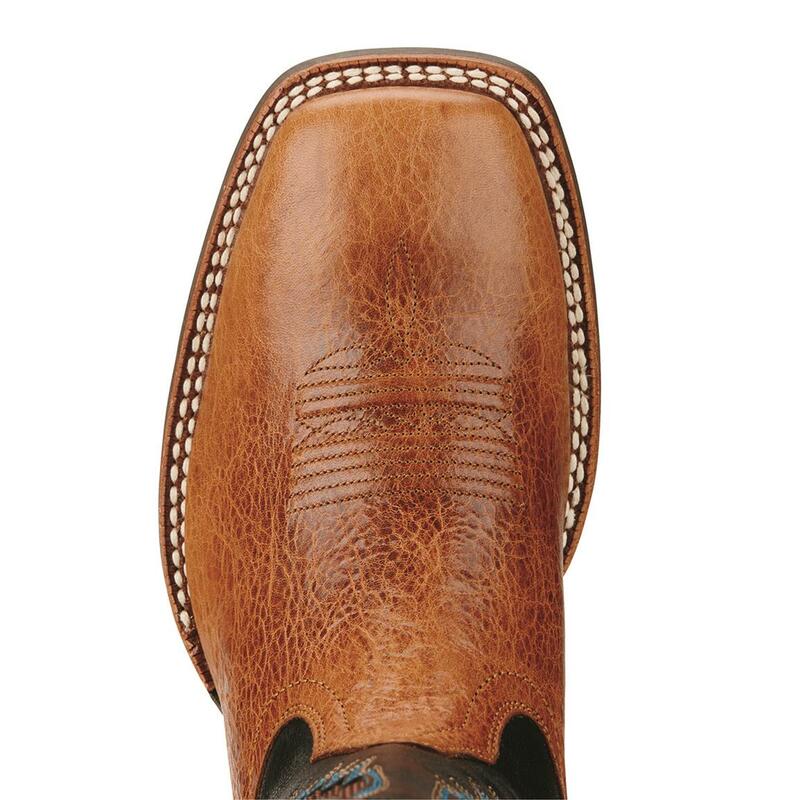 The ATSTM Footbed: Walk Softly. 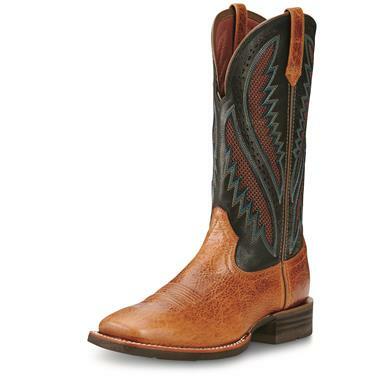 Ariat's Advanced Torque Stability (ATSTM) footbed combines a moisture-wicking sockliner, heel stabilizer, and gel-cushioned insole to deliver optimal comfort and stability throughout the day. 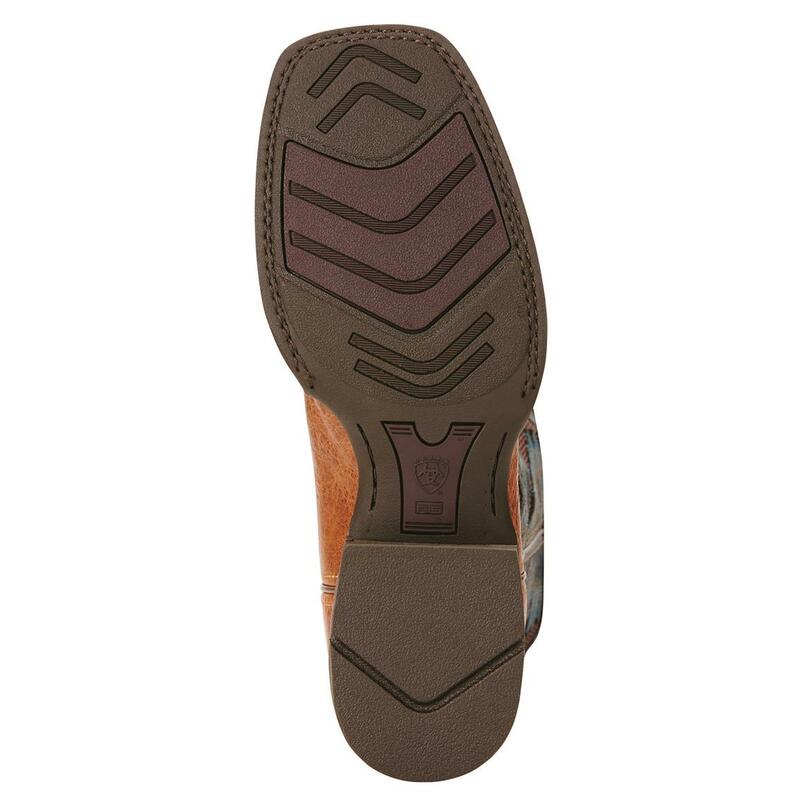 The result is an advanced footbed system that absorbs shock, promotes good posture, and provides a solid foundation for hard work or play.